Analyzing the systems concepts, theory, physical exercises and fighting application, the reader is taken from the basic ideas of the system into its advanced stages of training in order to maximize the physical and mental benefits gained from its practice. The Sui Lum Tao and Chum Kui form actions and applications are discussed in detail and explained in a way the reader can understand slowly and fully, with the exercises commonly practiced within the system broken down to their individual component parts. 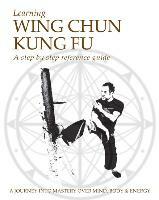 The technical information is based on Wing Chun practices that transcend lineage, but adhere to the universal principles of the system, exposing information and training methods that could be currently lacking from your daily practice. From a novice to the martial arts to an advanced practitioner, fighter to philosopher, this book will help you achieve much more from your dedicated practice.